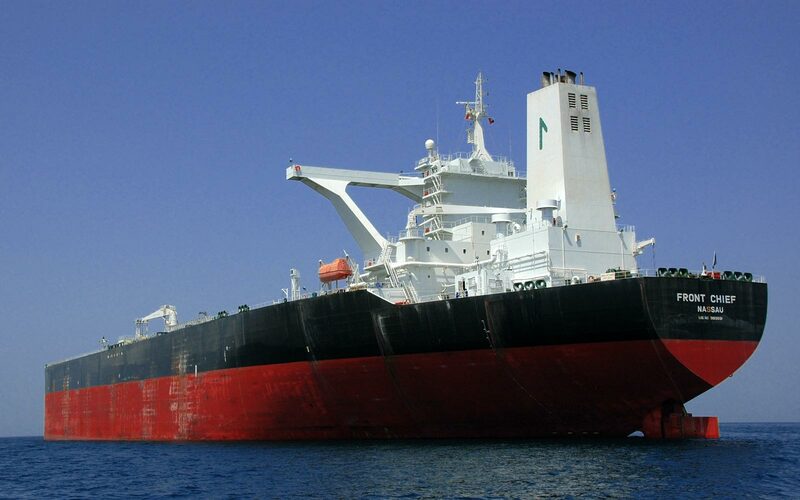 Large crude vessels felt continued pressure in the first half of 2013, a recent report said. VLCCs, the work horse of the crude tanker segment, took the largest hit mainly due to lingering oversupply. This was further exacerbated by growth in non-OPEC production, namely in the US, as imports fell to the lowest levels since 1996 in the first half of the year, McQuilling Services reported. In addition, OPEC production declined in some Middle Eastern and West African countries and there was a heavy refinery maintenance programme in the first half of this year, further slashing demand for VLCCs. As a result, rates on the Arabian Gulf to US Gulf and Japan routes fell to as low as WS 17 and WS 30, respectively. Out of West Africa, rates to the US Gulf dipped as low as WS 35 and WS 32 to China. During the first half of this year, VLCCs recorded the third highest number of deliveries, after MR2s and Suezmaxes - 18 newbuildings were added to the trading fleet through June, slightly above McQuilling’s.expectations that 16 VLCCs would have delivered by June. Suezmaxes faced the same struggle as their larger counterparts, as trade out of West Africa to the US Atlantic Coast continued to be affected by last year’s US East Coast refinery closures and local refiners substituted foreign imports with domestic Bakken crude. The lack of demand, combined with a backlog of tonnage caused rates to fall to their lowest levels in recent years. Some mid year spikes did occur when charterers used Suezmaxes in preference to VLCCs, effectively reducing the excess tonnage supply. However, as soon as it become more costly to take a Suezmax, VLCCs became the vessel of choice and rates came down accordingly. The Black Sea/Mediterranean region received some support at the start of the year as Libya, Africa’s third-largest oil producer, maintained production levels of around 1.4 mill barrels per day. Rates traded at the highest levels of the year in March and April at an average of WS 68 and 67, respectively. This soon became the exception, as pipeline sabotage and overall weak demand in the Mediterranean put a damper on activity. At the beginning of the second half of the year, protestors raided the Libyan port of Zueitina again, halting exports and further reducing activity. Acerbating the situation was the Suezmax delivery profile, with an average of about four additions to the fleet each month. However, owners have placed only four orders thus far this year, compared to 14 during the first half of 2012. Spot rates for Aframaxes were also weak, but did not fall as low as VLCC and Suezmax rates. Afrmaxes have also shown a bit more volatility when compared to the larger crude tankers, due to weather delays in the US Gulf and seasonality factors in the Baltic. Increased lighterage demand also helped to support Aframax rates on the benchmark Caribbean/USG route, which has traded at an average of WS 97 year-to-date. By the same token, some late season ice in the Baltic Sea pushed rates up as high as WS 225 in early April. However, Aframaxes found little solace on the cross-Mediterranean trade, as ships found themselves constantly competing for cargoes throughout the first half of the year. Spot rates traded at an average of about WS 81, down about nine WS points from the same time last year. A silver lining for this sector has been the contraction in fleet growth, due to higher levels of scrapping. As of June, 13 Aframax tankers were sent to the breakers, four more than McQuilling forecast at the beginning of this year. Elsewhere, Panamaxes also found themselves in a bit of an oversupply situation. These vessels managed to fetch a few extra WS points at the beginning of the year when weather caused delays in the US Gulf; however, the Caribbean/USAC route traded at an average of WS 115 in the first half of 2013, down six WS points from the same time last year. Little has transpired on the ARA/USG route and rates have traded between an average of WS 100-110. The highlight of the first half of 2013 was the clean products tanker market. This sector, in particular MRs, captured the attention of the market worldwide. Beginning with the largest of the clean tankers, LR2s found support early in the year from the growing naphtha trade to the East. As a result, rates traded an average of six WS points higher than last year’s numbers. However, spot rates did decline in 2Q13, due to overcapacity. On the same trade, LR1s were not as active, however, rates managed to hold their ground for the majority of the first half and have traded about 10 WS points higher year-on-year. In 2Q13, lengthy tonnage lists have forced LR1 rates downward. Growth in the LR2 segment was slightly above McQuilling’s expectations, as six ships were delivered through June, compared to a forecast of five. Demolition has been minimal, as just one vessel was sent to the breakers so far this year. Conversely, there has been no fleet growth in the LR1 sector, as the two deliveries recorded were balanced by two demolitions. As mentioned earlier, MRs have been in the star performers since the start of 2013. They have also dominated the orderbook accounting for nearly 64% of all tanker orders placed through June. In addition, 25 MR2s were delivered since the start of the year, just slightly below the consultancy’s expectation of 26. With strong demand at the beginning of the year due to regional product imbalances on the back of refinery maintenance, MR2s on the Continent/USAC route traded at an average high of WS 171 in February. Since the start of summer driving season, however, rates fell away and in June traded at an average of WS 118, down 53 WS points from their peak. The backhaul USG/Continent route also hit a peak at the beginning of the year, dipped into a lull around March and April on the back of limited demand, but finally gained ground again this summer. However, as regional product supplies increased in-line with refinery utilisation, clean tanker market fundamentals appeared to be losing balance, McQuilling concluded.